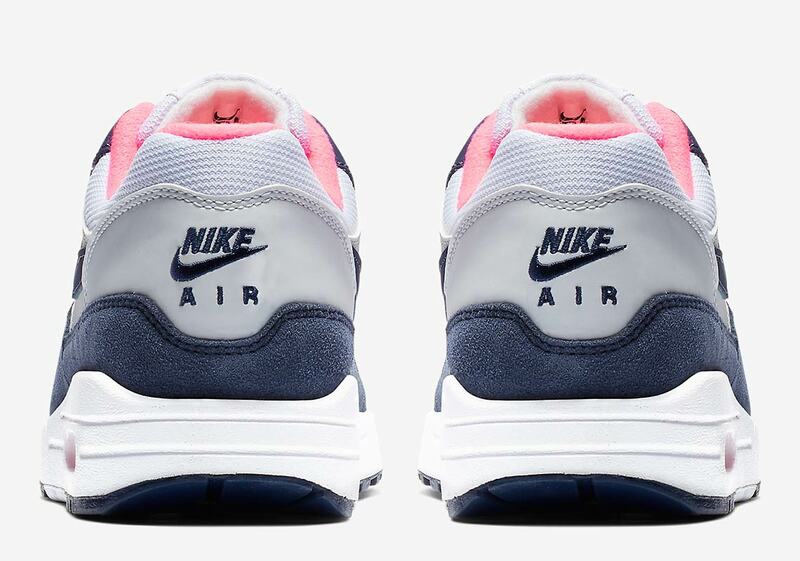 With its timeless Tinker Hatfield design and still-speedy shape — amazing, as it was created all the way back in 1987 — the Nike Air Max 1 has always lent itself well to stately colorways. 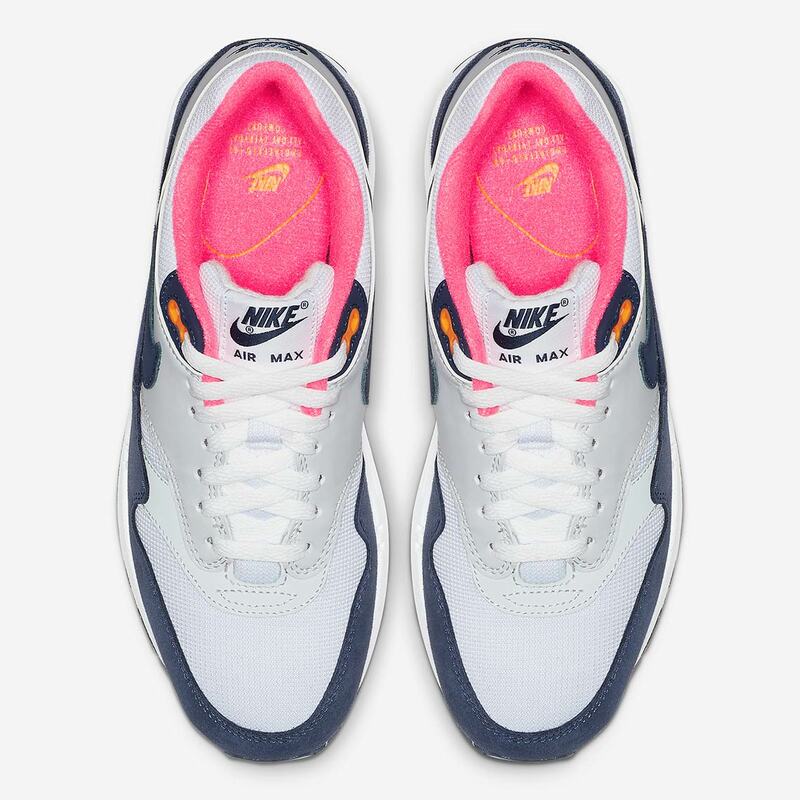 However, a truly versatile sneaker has to be simultaneously elegant and eclectic, and the AM1 is nothing if not that, also completely capable of taking on bright and bold colors. Now, both aesthetics have combined on this new ladies-only makeup that features details both simple and bold. 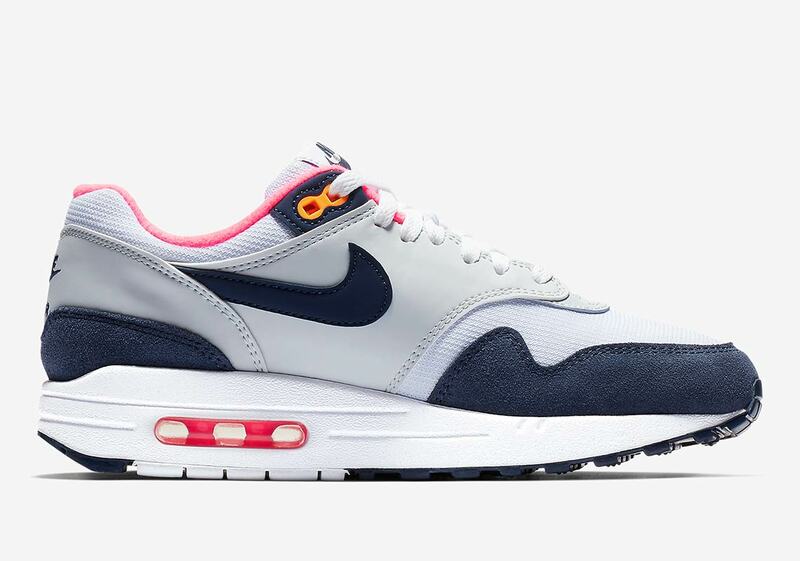 The upper’s three main parts are relatively straightforward, as white mesh underlays, grey leather overlays, and a dark navy mudguard/midfoot swoosh make up most of the look. 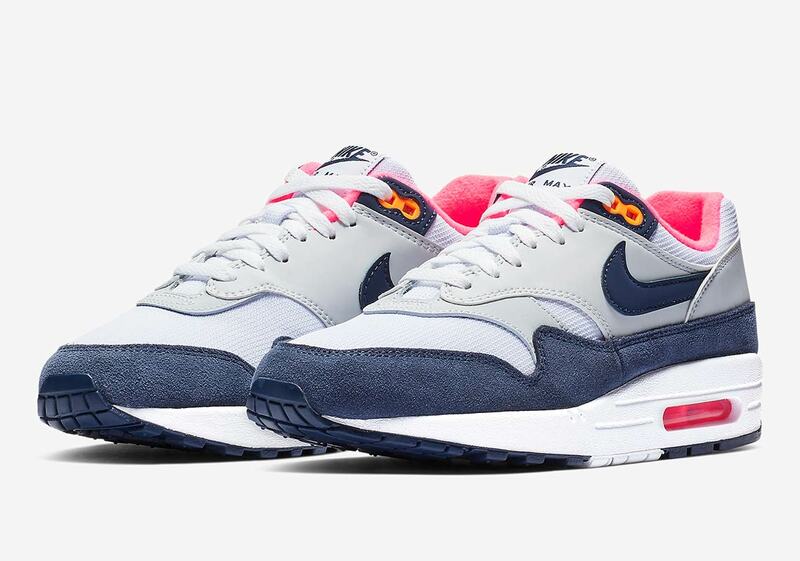 However, the bright-colored accents are not to be outdone, as a hot pink graces both the sockliner/Air bubble, and a bold orange arrives on the top two eyelets. 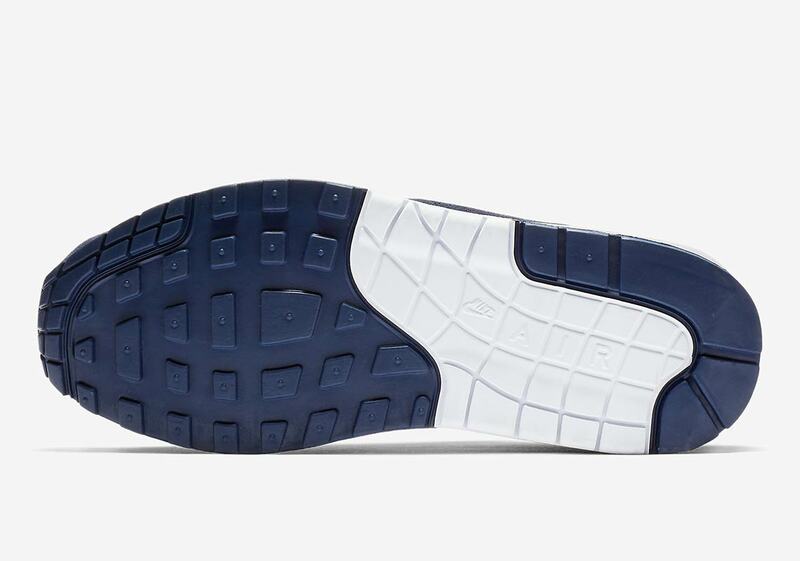 The shoe is then completed with a simple white midsole and white/navy outsole. 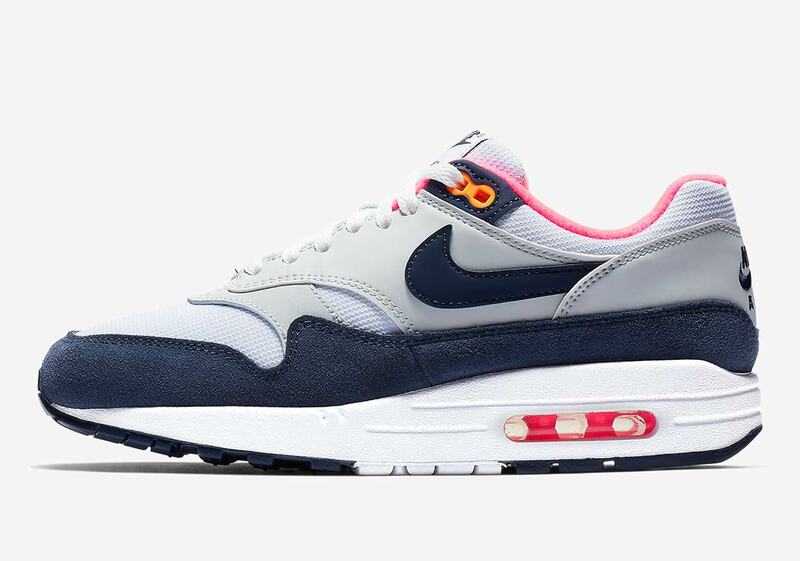 These colorful-yet-refined Air Max 1s will drop February 22nd on Nike.com, so keep it locked here for updates and also be sure to check out our Sneaker Release Dates page to see what else the Swoosh has cooking in the coming weeks.